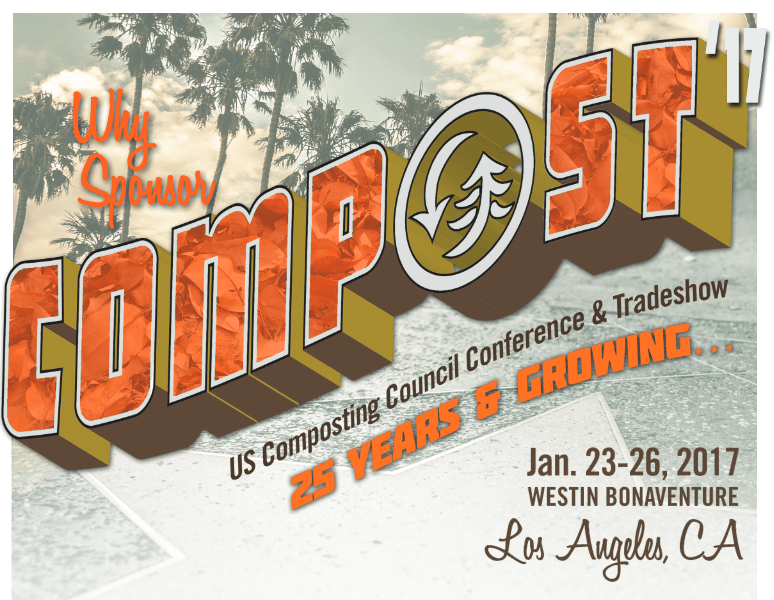 This year marks the US Composting Council’s 25th annual conference & tradeshow, GreenRock Equipment will be in attendance. US Compost’17 is the world’s largest composting exhibition and offers visitors a unique opportunity to see the most innovative equipment on the composting scene. The event will take place 23-26 January 2017 at the Westin Bonaventure Hotel in Los Angeles. GreenRock are teaming up with our global partners, EDGE Innovate and will be showcasing the EDGE Organic Recycling Range at the show. Joining us at the exhibition is the ever popular EDGE TRT622, the largest tracked trommel available in the U.S. This machine has been designed with maximum productivity, durability and mobility in mind and will excel in any organic recycling operation. The EDGE TRT622 is the perfect solution for compost, topsoil, mulch, C&D waste, biomass and similar applications. At GreenRock we offer the full EDGE recycling range which includes trommels, shredders, windhsifters, flip flow screens and other innovative products. To view the full recycling range, click here. The GreenRock team can be found at booth 123/222. To discuss how our equipment can benefit your business please fill out the contact form below.